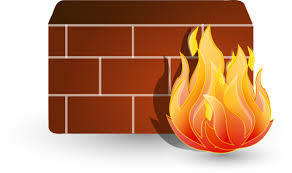 Firewalld is a complete firewall solution available by default on CentOS 7 servers. In this guide, we will cover how to set up a firewall for your server and show you the basics of managing the firewall with the firewall-cmd administrative tool. We can tell from the output that this zone is both the default and active and that the eth0 and eth1 interfaces are associated with this zone (we already knew all of this from our previous inquiries). However, we can also see that this zone allows for the normal operations associated with a DHCP client (for IP address assignment) and SSH (for remote administration). Whenever you are transitioning an interface to a new zone, be aware that you are probably modifying the services that will be operational. For instance, here we are moving to the "home" zone, which has SSH available. This means that our connection shouldn't drop. Some other zones do not have SSH enabled by default and if your connection is dropped while using one of these zones, you could find yourself unable to log back in. Make sure to revert these changes if this is not the actual zone you'd like to use for this interface. If all of your interfaces can best be handled by a single zone, it's probably easier to just select the best default zone and then use that for your configuration. The basic way of defining firewall exceptions for the services you wish to make available is easy. We'll run through the basic idea here. The majority of this definition is actually metadata. You will want to change the short name for the service within the tags. This is a human-readable name for your service. You should also add a description so that you have more information if you ever need to audit the service. The only configuration you need to make that actually affects the functionality of the service will likely be the port definition where you identify the port number and protocol you wish to open. This can be specified multiple times. This is just an example service. It probably shouldn't be used on a real system. For instance, you might want to create a zone for your web server, called "publicweb". However, you might want to have another zone configured for the DNS service you provide on your private network. You might want a zone called "privateDNS" for that. You should now have a fairly good understanding of how to administer the firewalld service on your CentOS system for day-to-day use. The firewalld service allows you to configure maintainable rules and rule-sets that take into consideration your network environment. It allows you to seamlessly transition between different firewall policies through the use of zones and gives administrators the ability to abstract the port management into more friendly service definitions. Acquiring a working knowledge of this system will allow you to take advantage of the flexibility and power that this tool provides.